Watford have signed Chelsea's Nathaniel Chalobah on loan until 2 January. 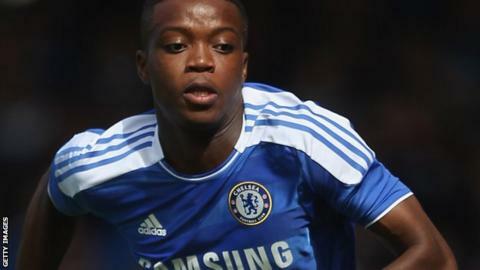 Chalobah, 17, captained the Blues' youth side to victory in the FA Youth Cup last season and he signed a two-and-a-half-year contract in January. Although yet to make a senior appearance for Chelsea, Chalobah, who can play in defence or in midfield, has captained the reserve side. He has represented England at Under-17 level and was in their squad that won the European Championship in 2010.